I've always had a love for the Alien franchise and this year NECA returned that love by offering some of the finest 6-7 inch scale figures we've ever seen. While the line started slow with only three figures, it continued with some excellent expanded universe xenomorphs and some great two-packs. I'm anxious for Toy Fair to see what NECA has in store for this year! We know Bishop is coming because Lance Henriksen himself Tweeted us on ThEpic Review about it! Also, I now consider Lance Henriksen to be the patron saint of ThEpic Review. Highest reviewed figure? : Tie: Hudson and Hicks, both EPIC! OK, so this is the only time I'm combining any lines on the list but it's only because Mattel's Batman figures were so darn hard to keep track of. They had multiple lines that all featured figures in the same scale and style so I'm combining them together. Yes, Mattel released lots of New 52 Justice League members and while some of them were pretty good (Wonder Woman), it was some of the unique Batman figures that blew me away. Figures like a Dark Knight Returns Batman built on a Masters of the Universe Classics body, the awesomely obscure Planet-X Batman, and the incredible accessories of the Young Justice Batman really added to my two shelves of 6-7 inch Batman figures. It's two bad we didn't get any Bat-characters but Batman, though. Highest reviewed figure? : Planet-X Batman- EPIC! There weren't many sets released, but Lego managed to put out some great quality sets in their DC Superheroes that covered the New 52, classic Batman comics, Man of Steel, and even The Dark Knight Rises. These were fun to build and display and look to continue on next year with new sets and characters (including Lego Batgirl!). Oh, and we got a really rad Lego Arkham Asylum this year. It's a highlight in any Batman collection. Highest reviewed figure/set? : Arkham Asylum Breakout- EPIC! Is it any surprise that this line was on my list? Say what you want about distribution, public relations, price, etc., but this line keeps trucking along and is into it's sixth year with well over a hundred figures in a consistent scale and style. This year saw over 30 figures released, a sweet vehicle (the Jet Sled), a weapons pack, and Castle Grayskull. I want this line to go on forever! Highest reviewed figure? 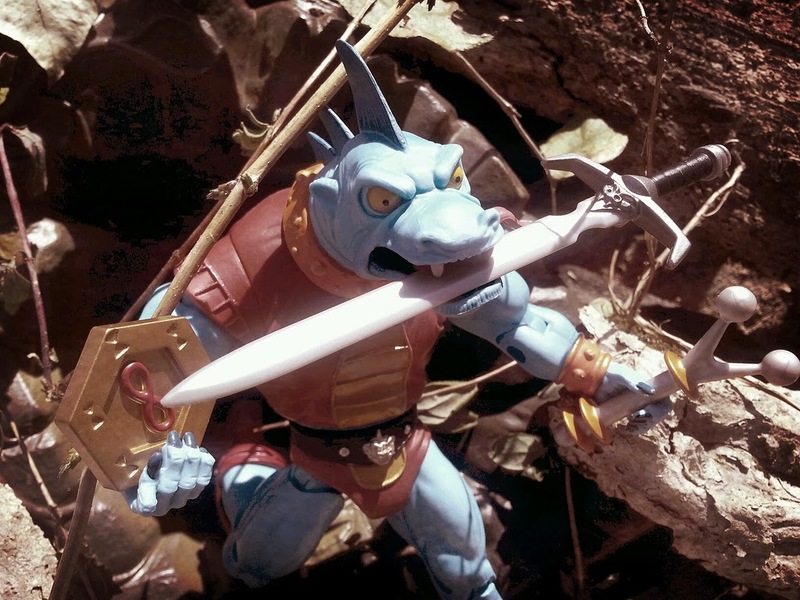 : I actually wrote a whole article of my top MOTUC figures of 2013! Mighty Morphin Power Rangers was a property that I never expected to really return to, but Bandai's excellent Legacy line certainly captured my attention. Taking designs from the original television series and toyline from the early-mid 90's and recreating them in a mixture of both plastic and diecast metal, Bandai has created the Power Rangers toys I always dreamed of owning when I was in fourth and fifth grade. While the line has been pretty limited thus far, the quality has been fantastic. I'm now kind of excited for a Dragon Dagger and a Dragonzord to appear next year. Highest reviewed figure? 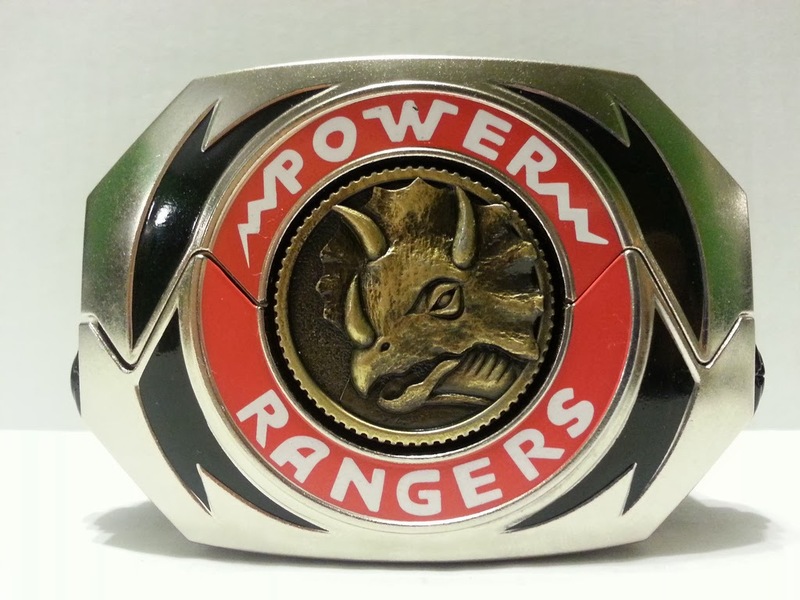 : Legacy Morpher- GREAT and a 1/2! This is a new line that we covered a lot earlier last year while it was in development, so it was incredibly exciting to see these guys finally get released. I'm a huge fan of M.U.S.C.L.E., so there's no doubt that these toys spoke to me. While there have been lots of releases and colorways at various conventions, Fantastic Plastic Toys has finally gotten these guys down in price and more easily available. Next year should be awesome with this line! Here's another line that NECA knocked out of the park this year. While NECA is an incredibly diverse and creative company taking on newer licenses like Pacific Rim, The Hunger Games, and The Lone Ranger, 80's and early 90's action and sci-fi seems to be the niche they've carved out for themselves and always excel in. This year, NECA made some major steps in their long running Predator line: They completed the Lost Tribe from Predator 2, they offered up the awesome Trophy Wall diorama, they began creating figures based off of the 90's Kenner Predator figures, and they managed to add Schwarzeneger's Major Alan "Dutch" Schaffer into the line. It was a huge year for the Predator line thanks to NECA's willingness to plan for the long run and do whatever they can to keep the line fresh and fun! Highest reviewed figure? : Jungle Patrol Dutch and Predator 2 Trophy Wall- both EPIC! While this line is nowhere as expansive as Predator or Alien, NECA gave us two fine figures during the inaugral year of their Rambo line. Let's be honest: 78.3% of people on the planet want action figures of Sylvester Stallone armed with lots of weapons. Fact. NECA delivered and made this collector happy, for sure. So far we've only seen figures from First Blood, but I'm hoping next year that First Blood gets finished up and we see movement into Rambo: First Blood Part II. Actually, I'd love to see NECA tackle Rambo and the Forces of Freedom in the future, too. I loved those guys as a kid! Highest reviewed figure? : John J. Rambo (First Blood)- GREAT and a 1/2! I loved the Vintage Collection a few years back and still believe those were the finest Star Wars figures ever made, but Hasbro's Star Wars Black certainly seems to be one of the most exciting things to happen with Star Wars action figures in years. Nearly every figure in this line is quite astounding and features some of the best sculpting and detail we've seen from a mass market toyline. I'm really excited to see where this line goes in the near future. While wave three seems like it might have some hurdles to overcome (re-packing wave two's Han Solo again, diminished accessories), let's hope that Hasbro continues to give this line their all. Highest reviewed figure? : Sandtrooper- EPIC! This line has some issues; there are definitely some odd scale issues, bizarre and uneven articulation between figures, and often figures greatly lacking accessories, none of which are good things. In spite of those things, TMNT also has some amazing positive aspects. The line is diverse, has managed to stay at an affordable price point, features vehicles and playsets, offers a good mix of heroes and villains, and is fairly easy to find even at retail. There aren't many astounding figures in the line, but there are plenty of good and fun ones. This is a line clearly aimed at kids that many of us nostalgic and crusty old collectors have latched onto simply because we love those lean, green pizza kings. Highest reviewed figure? : M.O.U.S.E.R.S., Stealth Tech Raphael, Stealth Tech Leonardo- all GREAT and a 1/2! # of lines based on films from 2013: 1 (DC Superheroes since it contained Man of Steel stuff. # of toylines that I was a completest on and bought everything offered: 1 (Rambo, but it was only two figures).